Discover the powerful mind-set techniques to develop the psychology for success and achieve lasting happiness, freedom, and personal growth in life! Many people know what psychology is. It is probably the branch of science that has always been a part of talk shows, crime series, and other types of entertainment that discuss the wonders of the human mind. Everybody knows that when psychology is mentioned, it involves thought experiments, behavior analysis, and lots of sitting and thinking. It is a common notion that psychology is an area for counselors and licensed psychologists. Little do people know that the basics of psychology can be applied without having to pay someone to do it for them. You read that right. You can be your very own psychologist. Psychology is not just for those who have problems with their behaviors. It is actually for everyone. For someone like you, who is trying to find the best ways to achieve more successful and a better life. Look no further. This book will give you a crash course on psychological concepts that you can use to improve your life. This book contains powerful techniques that you can use to develop your own psychology of success. Each chapter contains specific psychological concepts that surround most of the interaction that you experience every day. In the first chapter, you will learn how to develop your personal psychology and have the right mind-set for success. Next you will get helpful tips on how to manage your own emotions effectively. Afterward you will understand the psychology behind procrastination and what you can do to overcome it. Then you will learn how to use psychology to boost your self-confidence to help you become more successful in life. Last, you will learn how to motivate yourself to do even the hardest task by using powerful psychological techniques for self-motivation. Psychology is for everyone. It is about time that you learn how to use it to your own advantage. This should've been titled 101 things to do that may affect your mentality'. None of them bad, but I was hoping for more than an audio of a list of things to do. Would you listen to Mindset again? Why? 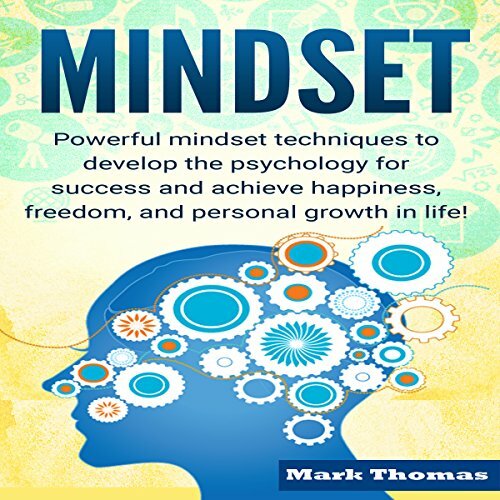 An excellent little book, a quick listen with deep, comprehensive, doable tools and exercises that cover every aspect of Mindset such as emotions, confidence, positivity, how to overcome procrastination, and how to jump start motivation. Don't be fooled by the simplicty of it - very powerful. Like everything you need to put suggestions into practice for it to be valuable. It is your about your psychology and provides brilliant, simple strategies for getting the best results out of your life. Nice to get the immediate to do and not reams of superflous information. You can jump right in and make changes. What about Millian Quinteros’s performance did you like? It is fast-paced, clear, upbeat and inspiring. Documentary: Mindset: Tools and Strategies for creating your best life.